Everyone has a different idea about what “healthy food” means. Read an article one day, and you’ll hear the benefits of a plant-based diet. The next? There will be a story about how low-carb can improve your health. For many, this is understandably confusing. However, one of the most critical factors to improve our health is to focus on nutrient-dense foods. This article provides a list of the 50 healthiest foods in the world, across all categories. Although we often associate cacao with sweet chocolate bars, the real thing is one of the most nutrient-packed foods around. As a result, a spoon or two goes a long way in regard to getting enough essential minerals. Furthermore, a recent systematic review demonstrates that cocoa polyphenols improve blood flow, reduce blood pressure, and benefit neurological function as we age (2). Let’s be honest, your standard bar of Hershey or Cadbury isn’t going to win any health awards. However, that’s not to say that chocolate bars can’t be healthy. The key is to opt for a dark chocolate bar with high cocoa (and low-sugar) content. Such bars offer much of the same benefits as 100% cocoa and providing you use sensible portion sizes, a tiny amount of sugar won’t harm. If you can, try to go for a bar that’s around 85% cocoa or higher. If that is a little too bitter, then look at the 70% bars as a minimum. While the rest of the categories on this list are all about nutrient-density, cooking oils and condiments is a little different. For example, when using an oil for cooking, it’s important that it is heat-stable, and that is the main concern here. While butter isn’t one of the most nutrient-dense foods, it does contain the fat-soluble vitamins A, D, E, and K (3). It’s also high in saturated fat and much safer for cooking than vegetable oils, which are prone to oxidation and very high in omega-6 (4, 5). Along with ghee, butter is arguably the tastiest cooking fat too. That said, it’s better to treat butter as a condiment; use it for cooking or to add a bit of flavor to vegetables. If you’re adding half a stick to your coffee every morning, then it may not be so good for your body. First, it’s probably better to ignore claims of coconut oil being a “superfood”. In truth, there isn’t such a thing, and there are far healthier foods than coconut oil anyway. So, why is coconut oil on this list then? Firstly, coconut oil is extremely high in saturated fat (the oil is around 90% saturated) (6). Since saturated fats are incredibly heat-stable, this makes coconut oil the best choice if you’re cooking at high temperatures (7). Extra virgin olive oil is the most well-researched oil available. There is also a myth that we shouldn’t use it for cooking, yet various studies disprove this belief. For instance, studies show that it is “clearly resistant” to oxidation – even during deep-frying conditions (8, 9). One reason for this is that the monounsaturated fat oleic acid, the most significant fatty acid in olive oil, is very heat-stable (10). In combination with the monounsaturated fat, extra virgin olive oil also contains a range of polyphenols. Notably, systematic reviews show that higher olive oil consumption reduces markers of inflammation, decreases type 2 diabetes risk, and has an inverse association with cancer prevalence (11, 12, 13). All vinegar contains a compound called acetic acid, and red wine vinegar is no exception. Improving satiety levels through delaying “hunger hormones” such as ghrelin (14). It has anti-hypertensive effects and may reduce blood pressure (15). Unpasteurized vinegar contains lots of beneficial bacteria from the fermentation process, and it may benefit digestive health (16). Similar to red wine, red wine vinegar contains a wealth of polyphenols (17). Randomized controlled trials show that red wine vinegar reduces the blood glucose response when consumed with a meal (18). In addition to these health benefits, red wine vinegar also acts as a tenderizer and helps to improve the taste/texture of meat. Dairy foods offer a wealth of nutrients, and they can be very tasty too. Here’s a look at some of the best options. Cheese is a fermented dairy product that is one of the most nutritious foods around. Cheese fermented for longer than six months, generally defined as “aged cheese”, has some unique benefits too. For one thing, people with lactose intolerance/sensitivities can generally eat it. Also, these cheeses tend to be high in vitamin K2. Aged cheese includes varieties like gouda, gruyere, parmesan, mature/vintage cheddar, and manchego. Cottage cheese may not be one of the most popular types of dairy, but it’s definitely a cheap healthy food. The main selling point for this one is that it offers a decent source of protein with very few calories. For example, 100g of cottage cheese provides around 12 grams of protein and only 86 calories (20). As a result, it’s an excellent option for anyone looking to increase their protein intake without eating substantially more food. Like all dairy, cottage cheese is also high in calcium, phosphorus, and the B vitamins. It’s hard to believe now, but dietary guidelines used to call for a limit of three eggs per week. The reason for this was a misplaced fear due to the high cholesterol content of eggs. However, times move on and these warnings were dropped long ago. As of 2015, the dietary guidelines for Americans state that dietary cholesterol “is not a nutrient of concern for over-consumption” (21). In fact, there’s no doubt that eggs are one of the healthiest foods on earth. They are almost like a food version of a multi-vitamin since they contain the majority of essential vitamins and minerals. Added to that, eggs are a highly bioavailable source of protein and the antioxidants lutein and zeaxanthin (22, 23). Yogurt brings all the benefits of milk to the table, but it also provides probiotic bacteria too. Systematic reviews of randomized trials show that yogurt has a favorable or neutral effect on metabolic syndrome risk markers (24). A meta-analysis of 9 cohort studies, involving 291,236 participants, suggests that higher consumption of yogurt lowers the risk of cardiovascular disease (25). A randomized, double-blind trial analyzed the effect of daily probiotic yogurt consumption on the effect of daily probiotic yogurt consumption on the health of children. This particular study had 76 children receiving the probiotic yogurt and 73 getting a placebo. Interestingly, the probiotic yogurt group had “significantly reduced days of fever, and an improved social and school functioning” (26). Milk is loaded with protein, calcium, phosphorus, vitamin D, and a range of B vitamins (27). One thing to be aware of is that whole milk is so much better for you than reduced fat/skim varieties. For one thing, when you remove the fat from milk you also take away many of the natural fat-soluble vitamins. As a result, skim milk contains synthetic vitamins to replace the natural ones that have been lost (28). Furthermore, studies show that whole milk is associated with a lower risk of diabetes and related problems, whereas low-fat milk does not (29). This section takes a look at some drinks with research-proven health benefits. Coffee is one of the most popular drinks, and it seems to be growing in popularity every year. This fact isn’t surprising when you consider coffee has proven benefits for our energy levels, focus, and even mood (30). Additionally, systematic reviews link coffee consumption with a significantly lower risk of cardiovascular disease and dementia (31, 32). It is theorized that one of the reasons for this could be coffee’s phytonutrient content. Coffee is one of the biggest suppliers of these compounds in the world, and it contains far more than any fruit or vegetable. People in Japan may well contest claims of coffee being the healthiest drink. In the Eastern part of the world, tea still dominates, with consumption levels much higher than coffee. Green tea also has a wealth of evidence behind it, and the data clearly shows that it has some very positive impacts. Markedly, nearly every study looking at green tea and cardiovascular disease imply a decreased risk (33). 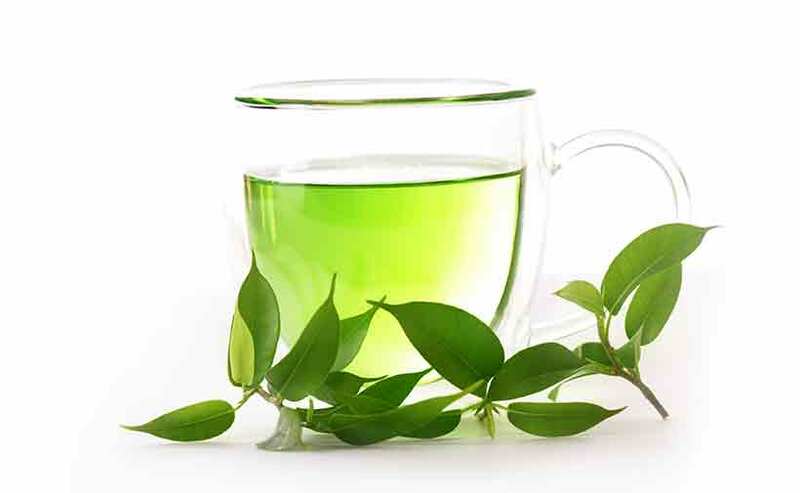 Clinical trials support this association too, with numerous studies demonstrating that green tea consumption lowers blood-glucose levels and blood pressure, both of which are cardiovascular risk factors (34, 35). Well, yes… there is a fair amount of evidence suggesting that red wine has some interesting health benefits. If you are a drinker, then red wine is a reasonably healthy drink in moderation, and much better than sugary mixer drinks. A couple of reasons for this are that red wine is one of the richest suppliers of health-supportive polyphenols. Surprisingly, moderate red wine consumption also raises HDL (the so-called “good” cholesterol) by an average 11-16% (36, 37). Both epidemiology and clinical trials support the notion that red wine may protect against several chronic diseases (38). Overall, alcohol is a “two-sided coin” and light-to-moderate red wine consumption appear to be healthy. However, there is a ‘J’ shaped curve in relation to health benefits, and high alcohol consumption is very bad for health. Fish, shellfish and other seafood options are some of the healthiest things you can eat. Here are some nutritious choices. Herring belongs to a family of fish known as Clupeidae, and it is an oily fish that is high in omega-3 (39). On the positive side, this fish is very cheap and healthy, and it’s also low in mercury compared to other fish (40). Herring has the advantage of tasting great too, and it’s a fish that many people enjoy. You can also buy this fish in a “kippered” form; kippers are herring that have been smoked. Alongside a bit of butter, they are a tasty traditional breakfast in the UK. Mackerel is another oily fish loaded with beneficial omega-3 fatty acids. But that is far from all, and mackerel provides an impressive nutrient profile, providing especially high amounts of selenium, vitamin D, magnesium, and B vitamins (41). King Mackerel: Very high in mercury – avoid/limit. Atlantic Mackerel: Low in mackerel – eat freely. Atka Mackerel: Low in mercury – eat freely. Spanish Mackerel: Medium-high in mercury – limit. Many people have difficulty with the idea of eating octopus as food. In much of the Western world, it’s uncommon to find in supermarkets or restaurants. However, it plays a prominent role in the Mediterranean, East Asian, and Hawaiian cuisine, where it enjoys a lot of popularity. Octopus has a range of nutritional benefits too, and it supplies vast amounts of B vitamins, selenium, and iron (43). In fact, just 100g provides more than 600% of the RDA for vitamin B12. Oysters are one of the healthiest foods on the planet. They are incredibly nutrient-dense, and just looking at their nutritional value shows this. We can look at oysters like the organ meats of the sea; they contain an unrivaled variety of nutrients. Salmon is an excellent source of protein, omega-3 fatty acids, vitamins, and minerals. It is particularly high in selenium and B vitamins and provides more than 2 grams of omega-3 per 100g (45). However, it’s worth noting that there are two options when we buy this fish. Farmed salmon (usually Atlantic salmon) mainly comes from Chile or Norway aquaculture, but also Canada, the UK, and Russia. There is raging debate over whether farmed fish is 100% safe or not, with antibiotic use being a big concern for many (46). The other option is wild fish, often from Alaska, and it provides a slightly better nutrient profile without the same antibiotic concerns. Compared to other fish, sardines have a big advantage; due to their size, we eat the whole fish. In addition to the fish flesh, we are also eating the (nutrient-rich) organs and (calcium-rich) bones. Also, sardines provide a great source of protein and omega-3 fatty acids. Since we can buy canned sardines, they also make a convenient high-protein snack when we’re out and about. Shrimps are one of the most nutrient-dense foods from the sea. They contain an array of vitamins and minerals, particularly selenium and vitamin D (47). Shrimps are very rich in protein too, and they provide approximately 20g protein for every 100 calories. For most people, shrimp is a very healthy choice. On the negative side, shellfish allergy is one of the most prevalent allergies in the world. Furthermore, crustacea (such as crab and shrimp) cause more reactions than any other shellfish (48). Trout is similar to salmon, both in appearance and nutrition. However, there are a few differences. For one thing, the flavor is slightly different, with trout having a slightly lighter and milder taste. Also, salmon contains a higher amount of fat overall – which might be useful if you’re looking to increase your omega-3 consumption. That being said, trout are still one of the best foods for health. Aside from a slightly lower fat content, they provide just as much protein, vitamins, and minerals (49). For more information on omega-3s in fish, see this guide to oily fish. Many people mistakenly class avocados as a vegetable due to the lack of a sweet taste. However, this is incorrect, and avocados fully meet the criteria of a fruit. In fact, due to the fact they have flesh and a seed in the middle, they are technically a berry. Avocados are surprisingly nutrient-dense, and they contain decent amounts of vitamins C, E, and K, copper, and potassium (50). They are also rich in monounsaturated fats, mainly oleic acid, which is the same “heart-healthy” fat in olive oil. As well as being one of the healthiest foods to eat, they are delicious too. 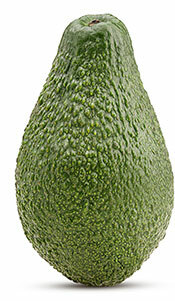 Avocados are the main ingredient in the Mexican side dish guacamole. Blackberries are a popular kind of berry that grows in the spring and summer months. They are a good source of vitamin C and other nutrients such as manganese and vitamin K (51). Berries are also one of the only fruits that provide a carbohydrate content that is more than 50% fiber, which means they should have a minimal blood-sugar response. There have been a variety of studies looking into the proposed health benefits of blackberries and their phytonutrients. One of these randomized trials suggests that blackberry consumption may help lower inflammatory markers and blood pressure (52). 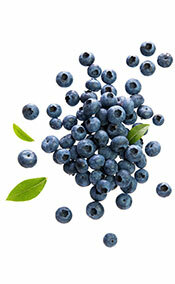 Similar to blackberries, blueberries are in season during the spring and summertime. They’re a little sweeter in flavor, and correspondingly they have a higher sugar content. Nutritionally, blueberries contain a good variety of vitamins and minerals, and a variety of anthocyanins, a class of polyphenol (52). Randomized studies suggest that blueberries may help to reduce inflammation, lower blood pressure, and oxidative stress (53, 54). Olives are one of the healthiest foods in the world. Out of all the different varieties of olives, kalamatas are one of the best. These particular olives hail from the Kalamata region of Greece, and they have a bold purple color. Kalamata olives provide a large amount of monounsaturated fat, and they supply a source of calcium, copper, iron, and vitamins A and E.
Additionally, they’re one of the most polyphenol-rich foods we can buy. Olives contain exciting compounds such as oleuropein and oleocanthal, which clinical trials suggest have anti-inflammatory properties (56). 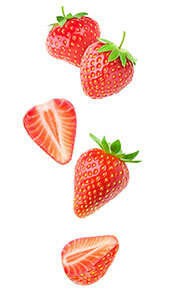 Strawberries are among the most popular fruits due to their sweet and flavorful taste. They’re a great source of nutrition too, and a 100g serving provides the daily recommended amount of vitamin C.
Additionally, strawberries supply a decent amount of manganese and smaller amounts of most other vitamins and minerals (57). Despite their sweet taste, strawberries contain surprisingly little sugar, and they make a great pairing with heavy cream for a healthy dessert. For those who eat higher amounts of carbohydrate, it is better to focus on the most nutrient-dense sources. In other words, legumes and tubers are much more nutritious than sugar, bread, and pasta. Lentils are one of the better high-carbohydrate foods. The carbohydrates in lentils are more than 50% fiber, meaning that digestible carbs are relatively low. Lentils are not only a carbohydrate source, but they offer a large amount of protein too – about 25.8 g per 100g. They supply very large amounts of folate, manganese, vitamin B1, phosphorus, iron, magnesium, zinc, potassium, and copper. The humble potato is a traditional staple food for much of the Western world. In recent years, potatoes have fallen out of favor with some due to their high starch content. However, there is a big difference between potatoes and refined carbs like sugar and flour. For one thing, potatoes only contain about 15g starch per 100g, and they offer a reasonable amount of nutrients like vitamin C, potassium, and vitamin B6 (59). Okinawans are famous for their (former) claim of being the longest-lived group of people in the world. Purple sweet potatoes were their primary food, and they also ate fresh seafood, vegetables, a little pork, and lard for cooking. These days, Okinawans have lost their status as the world’s most long-lived group. This change has happened alongside their move to a more Westernized diet, with packaged food, vegetable oils and wheat/rice taking over. 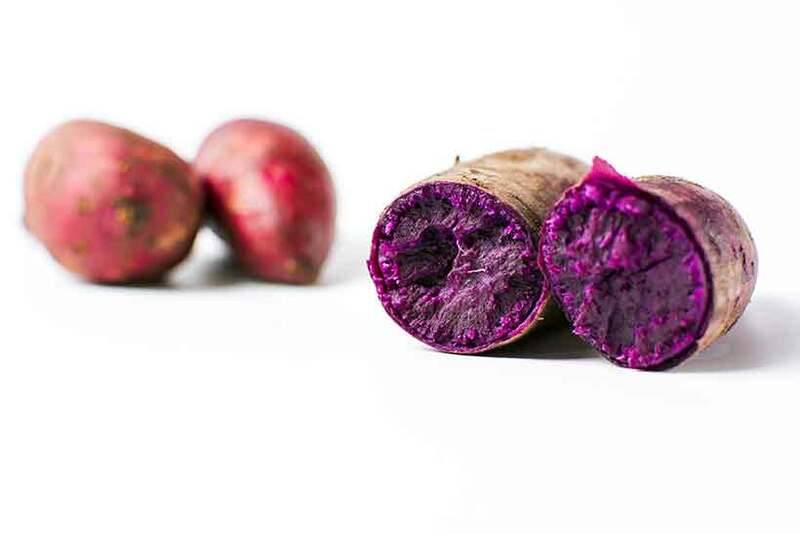 How do purple sweet potatoes differ to the standard sweet potato? Well, in addition to their reasonable vitamin and mineral content, they also contain anthocyanins. Anthocyanins are the kind of polyphenols present in blueberries, and there is evidence to suggest they may have anti-inflammatory health benefits (60). Red kidney beans are another nutrient-rich legume, and they’re a good choice if you’re on a higher carbohydrate diet. Sweet potatoes are a tasty tuber that contains a particularly large amount of vitamin A (in beta-carotene form). However, since this is a fat-soluble vitamin, eat them with a bit of butter to increase the absorption. Sweet potatoes provide almost every micronutrient, but they are highest in manganese, vitamin B6, and potassium (62). Compared to regular potatoes, they contain slightly more fiber but less essential minerals. Many of us automatically assume that fruit and vegetables are where we get vitamins and minerals. However, this isn’t strictly true; meat and poultry contain a huge range of essential micronutrients. Beef is one of the best choices. In addition to the impressive range of vitamins and minerals, beef is also rich in protein, providing about 25-28g per 100g. 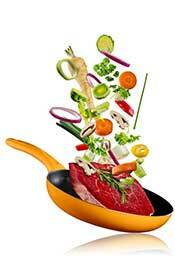 Lastly, beef contains various healthful compounds such as creatine, taurine, conjugated linoleic acid, and carnitine. If you thought that beef was nutrient-dense, then beef liver provides an even more impressive nutritional profile. In other words, the majority of nutrients in beef can be found in far greater amounts in liver. The only problem? Liver doesn’t taste as good. Chicken breast is an interesting food. Some people urge us to eat it rather than red meat, due to misplaced fears about red meat consumption. On the other hand, some meat lovers advise that chicken breast isn’t worth eating, as it is less nutritious than beef. While red meat is higher in essential nutrients, it isn’t by as much as many people believe, and chicken is nutrient-dense too. For an in-depth look at the differences, see this guide to red meat versus white meat. 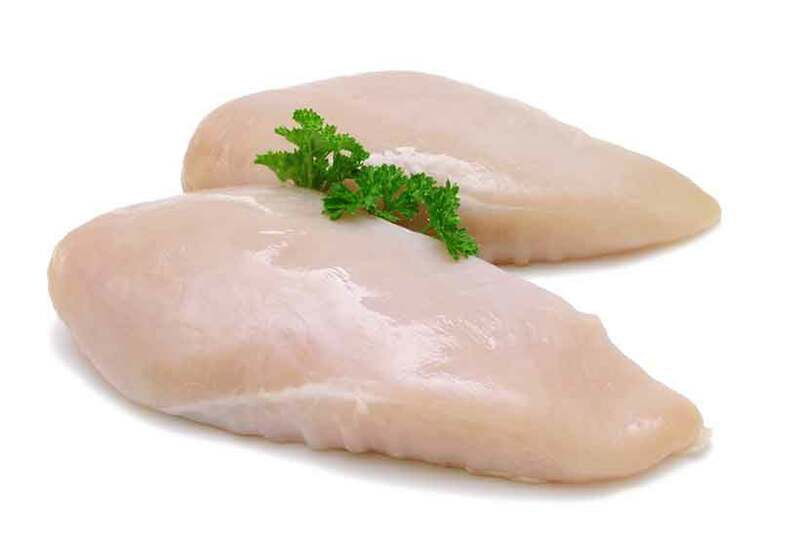 Perhaps the biggest positive about chicken breasts is that they offer a significant amount of protein for minimal calories (65). They are also cheap, which makes them a good food for eating healthy on a budget. Lamb is another food that belongs to the red meat category. Similar to beef, it provides an excellent source of bio-available protein, and it’s very high in nutrients. The classification of pork is slightly confusing. Technically, it is a red meat (that doesn’t look red after cooking). Possibly due to the controversy surrounding red meat, the pork industry has been working on a “the other white meat” campaign. Officially, pork is still a red meat. It is also relatively healthful and contains a nice mix of nutrients in high amounts. The main difference between pork and other red meats is the smaller vitamin B12 content. However, it’s still a good healthy food to eat. 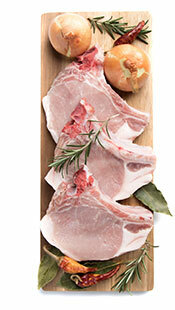 For more on meat and poultry, see this article on different types of meat. You’ve probably heard advice to eat more nuts, and there’s a good reason to do so. For one thing, they’re full of vitamins and minerals, healthy fats, and they contain a few polyphenols too. Out of all nuts, almonds are arguably the most nutrient-dense. They’re a particularly large source of manganese, and a small one ounce-serving contains 37% of the RDA for vitamin E, which is a rare nutrient to find (68). Fans of low-carb/paleo baking even use almond flour to make a range of healthier dessert foods. If almonds are the healthiest nuts, then macadamia are the world’s best for taste. Macadamia nuts have a kind of crunchy exterior with a soft, almost butter-like texture once you start chewing them. They have a few health advantages too; firstly, unlike other nuts, they provide almost no omega-6, which might be important if someone is watching their omega-6 to 3 ratios. Instead, they mainly offer monounsaturated fats, primarily oleic acid, the same “heart-healthy” fat in olive oil. Further to that, they contain a range of essential nutrients, and they’re especially rich in manganese and vitamin B3 (69). Peanuts often find themselves being criticized for not being a “true” nut. If you don’t know what this means, then peanuts aren’t actually a nut at all; they are a legume. That said, they are a very nutritious legume, and this “nut” contains a wealth of nutrients. Particularly, manganese, copper, magnesium, phosphorus, vitamins B1, B3, E, and K are present in high amounts (70). Added to that, peanuts contain a range of bioactive compounds including coenzyme Q10 and various polyphenol classes. They also include the full range of amino acids (71). Walnuts are another nut that often features in top healthiest food lists. Nutritionally, like a lot of nuts, they contain reasonably high amounts of manganese and vitamin B1. More uniquely, they provide a considerable source of copper too (71). Furthermore, walnuts are a significant source of omega-3 and contain about 9 grams of the fatty acid per 100g. However, they do also contain four times as much omega-6, so they aren’t a good way to improve the balance between these fats. A systematic review of walnuts found that they improved inflammatory markers and other cardiovascular risk factors (72). Asparagus is possibly the tastiest vegetable in the world. The evidence for this? Go to an expensive steakhouse, and you’ll often find it on your plate. The simple reason for this is that it tastes good. As well as tasting great, asparagus contains a fair few vitamins and minerals. In fact, it provides almost everything except for vitamin B12, only found in animal foods (73). Out of all vegetables, perhaps the most research has been undertaken on broccoli and other cruciferous vegetables. Randomized trials and systematic reviews demonstrate that broccoli can improve inflammatory markers and reduce cancer risk (74, 75). Broccoli contains a decent amount of nutrients, and it’s especially high in vitamin C and K1 (76). It also contains a variety of sulfur-containing chemical compounds such as glucosinolates, which break down into isothiocyanates and indoles. These compounds may protect against hormone-dependent cancers (77). Similar to broccoli, brussels sprouts are another cruciferous vegetable with purported health benefits. Again, like broccoli, they are also very rich in vitamin C and K1 (78). Brussels sprouts also contain a phytochemical called kaempferol, and studies suggest that it may help to protect against oxidative stress (79, 80). Sprouts taste particularly tasty mixed with bacon, which for some reason is a perfect combination. You can see a recipe for that here. Renowned for its abilities to add delicious flavor to dishes, garlic is a staple in kitchens around the world. Although sometimes thought of as a herb, garlic is a kind of root vegetable that grows underground. It also has the innate ability to make almost everything taste better! It is not without health benefits either, though, and garlic provides large amounts of manganese, vitamin C, and vitamin B6 (81). Interestingly, meta-analyses of clinical trials demonstrate that garlic beneficially impacts hypercholesterolemic and hypertensive patients (82, 83). Mushrooms are delicious, and they come in all different shapes and sizes. They are also biologically unique, in that they are their own class of food/species rather than a vegetable, spice, or herb. Mushrooms are a fungus, and they contain a range of chemical compounds that are unique among mushrooms. Notably, the polysaccharides found in mushrooms appear to have anticancer, anti-inflammatory, and antimicrobial effects (84). Mushrooms are one of the healthiest foods in the world, they’re relatively cheap, and they taste delicious. Onions are an edible bulb that grows underground; hence they are a root vegetable. Similar to garlic, onions are incredibly flavorful, and this makes them a popular addition to numerous culinary dishes around the world. In terms of micronutrients, onions contain almost every vitamin and mineral, but in relatively small amounts (85). However, onions also contain a range of phytochemicals which have demonstrable benefits. For example, numerous studies suggest that onions have cancer-protective properties (86, 87). Roast meat alongside some roasted garlic and onions is a delicious, healthy meal. Coming from the ocean, seaweed is an iodine-rich sea vegetable that has some distinct properties. As mentioned, seaweed is extremely rich in iodine, so much so that we should be careful not to over-consume it. For some people, too much can be just as bad as too little (88). Seaweed also provides significant amounts of vitamin K1, folate, magnesium, calcium, and iron (89). Additionally, seaweed contains some interesting compounds such as fucoxanthin, which appears to have cardiovascular-protective effects (90). It made Popeye strong, and it’s certainly a strong source of nutrients too. Finally, tomatoes are number 50. First of all, tomatoes are a decent provider of several nutrients like vitamins A and C (92). They also contain a type of polyphenol called lycopene. This particular substance has been extensively studied, and systematic reviews show that higher blood concentrations of lycopene are associated with a significantly lower risk of cardiovascular disease and overall mortality (93). Tomatoes also play a significant culinary role in the world. Famous dishes such as pizza, chutney, salsa, and various curries and soups wouldn’t be possible without the little red fruit. The “healthiest food in the world” is subjective, but practically all of the foods on this list can improve health. Among the most nutritious options are the animal foods, especially beef liver, which is a nutritional powerhouse. In my view, not only should an optimal diet include various animal and plant foods, but it should also be one that you enjoy. For instance, a healthy diet is not much use if you cannot stick to it. If you need to make some positive dietary changes, try working some of these healthy foods into your eating plan. Red Meat vs. White Meat: Which is Better?